The same contractual obligations require that we have a “statement of intent” regarding these developments in place and publicised by 30 September 2014. All three of the above systems are currently LIVE at this practice. Listed below are the organisations we are required to share data with along with the purpose and details of what information is shared. For each one you will find information about each organisation and, where applicable, details of how you may opt out from having your personal data shared. 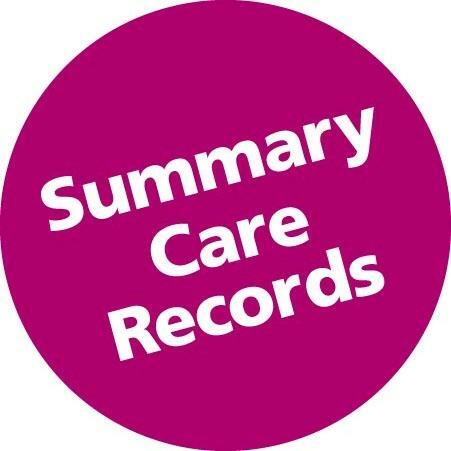 HSCIC collect data for various reasons including the planning, management and analysis of NHS services and patient conditions. They also share data for the purpose of research. Please read the FAQ leaflet for more information. GP2GP electronic transfer of records. GP practices hold copies of your patient record electronically. When registering as a patient, where possible, your patient record will be transferred electronically between practices. Patient Access. Online access to medical records and services. NHS England requires we offer patients the ability to access appointment booking, repeat prescriptions, allergies and adverse reactions online (or to have published plans in place to do so by 31st Mar 2015). We already offer all these services.